City of Santa Clarita Formation Committee logo, 1987. Printed on lightly buff-colored letterhead. 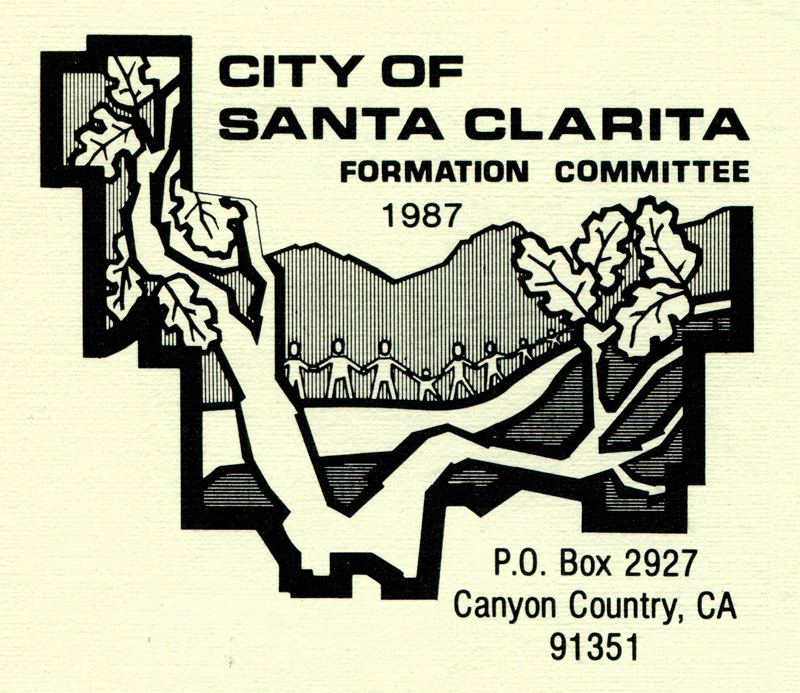 As originally envisioned, the city would have encompassed 90 square miles including Castaic, which is represented by the branch of the tree at left. But L.A. County's Local Agency Formation Commission didn't allow that to happen (see below) and whittled down the tree to 39.5 square miles. It has since grown back (through annexations) to 57.9 square miles as of 2014. LW2691: 19200 dpi jpeg from original letterhead | Collection of Connie Worden-Roberts.